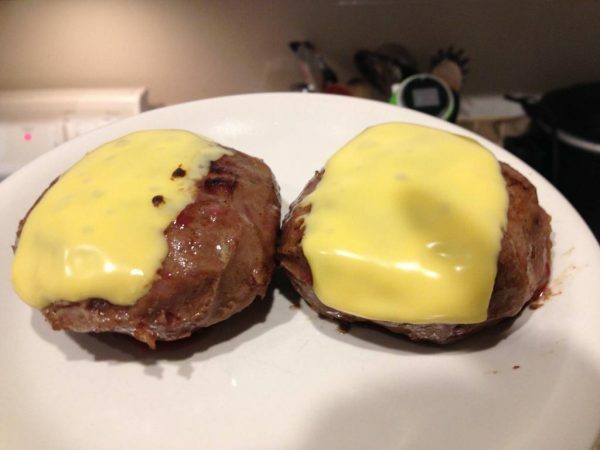 I’ve been wanting to make cheeseburgers using sous vide for a long time, especially aftering reading J. Kenji Lopez-Alt’s Serious Eats article and recipe from back in 2010. After a few different attempts, I’ve come down to a recipe that we really love. It uses a few more ingredients and steps than the aforementioned recipe, but it’s worth it, trust me! This includes the fish sauce, don’t omit it! It adds a flavor packed umami bomb that is sure to please, even if you don’t love fish. I recommend for this particular recipe not to use a vacuum sealer, as it deforms the patty which gives it a weird look at the end because you can see sharp edges on the meat from the vacuum sealing bag. Instead, I’d use the water displacement method in ziploc bags. 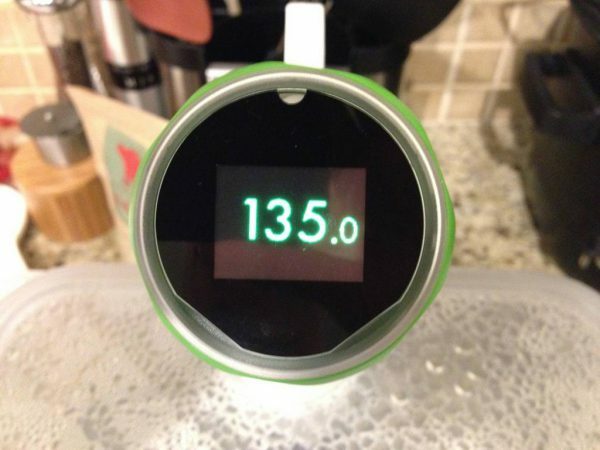 Terrific sous vide burger recipe that uses fish sauce to add an extra depth of flavor. 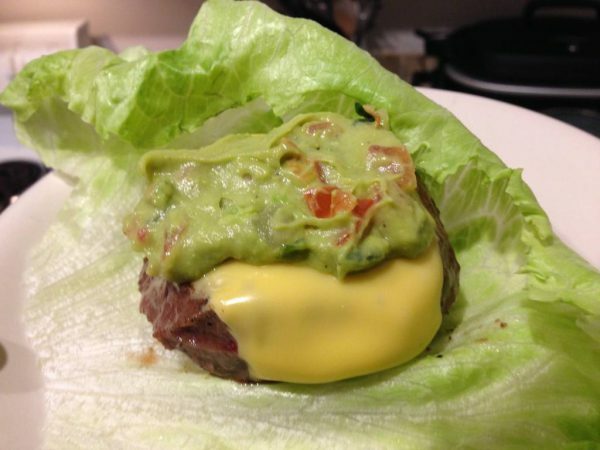 These burgers can be served traditionally on a bun or protein-style using lettuce as wrapper. Saute the minced onions and garlic over medium heat until they are transluscent and softened. While cooking, add a pinch of salt and some pepper. About 5 mins. Take the onion and garlic mixture and let it cool to room temperature. We do this for food safety since we're combining it with the raw meat in the next step. Fastest way to do this is to spread the mixture into a thin layer on a plate and leave it on the counter for 15 mins. Once at room temperature, combine the ground beef and onion mixture in a mixing bowl and mix so it's evenly distributed. Be careful not to over mix it or it will change the texture of the burgers. Form 6-8 patties, depending on your preference of size. 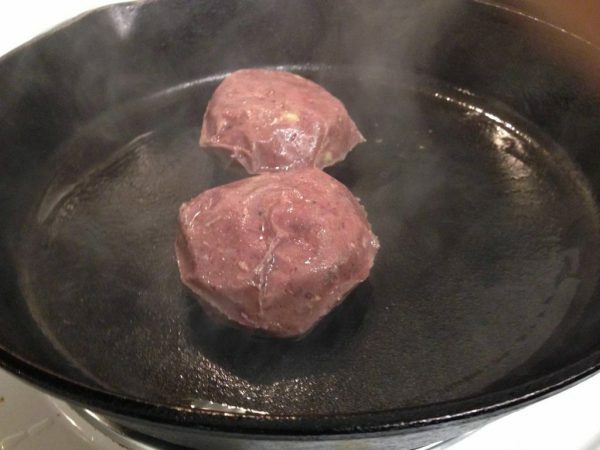 Since we'll be cooking via sous vide, you can make them as thick of thin as you want. Since we'll be pan-searing them to finish, I recommend at least an inch thick to avoid overcooking at that step. Place the patties onto a cooking sheet lined with plastic wrap, then cover them with another layer of plastic wrap. Put in the freezer for a hour. 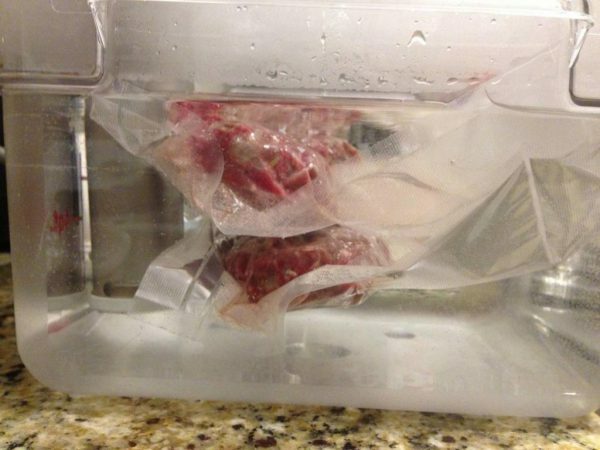 Remove the patties from the freezer and either vacuum seal, or place them in a ziploc bag and use the water displacement method. Cooking the burgers:Heat the sous vide bath. (130 degrees for rare, 135 degrees for medium rare, or 140 degrees for medium). Place the vacuum sealed patties into the bath for 2 hours, and no more than 4 hours. Heat a cast iron pan on high high heat with a high smoke point oil. Fry each patty for 1 minute per side to get a good crust on the patty. This step is crucial so don't skip it! Remove the patties and place on a tray. Place cheese on top of each patty and use a kitchen torch to melt the cheese. 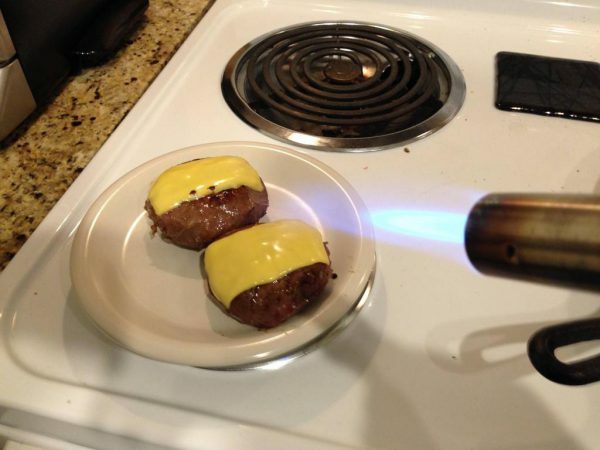 (If you don't have a kitchen torch for this, melt the cheese by placing it on the patties after you flip them over when you're searing them). Your patties are now done so serve them as you like (like topping with guac), either traditionally on a hamburger bun, or wrapped within lettuce for a carb-friendly option. We freeze the patties so they don't deform when you vacuum seal. Even if you use the ziploc bag method, slightly frozen patty will help make them easier to handle. Going to try this tonight – looks good. One minor nit – no mention in instructions about using the fish sauce. no big deal but for a sake of completeness…. Thanks for catching our omission of the fish sauce, we just updated the recipe. Use it in step 3, combining it with the ground beef and onion mixture.